Fall 2018: Rutgers downy mildew resistant (DMR) basil seeds are now being sold by VDF Specialty Seeds for commercial basil growers. 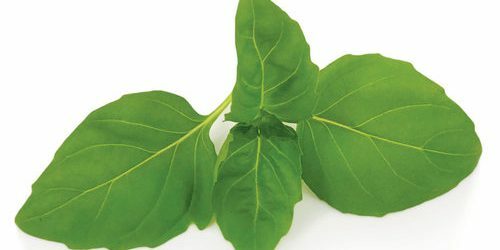 Following this commercial release, four new DMR basil varieties will be on the market for consumers and home gardeners. 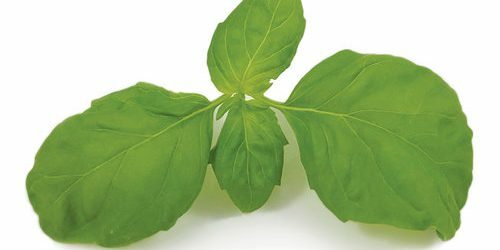 Rutgers Obsession-DMR: An excellent sweet basil for field or potted plant production; will also make an excellent edible landscape plant; more compact, while quite vigorous and high yielding, it starts off slower growing than the Rutgers Devotion-DMR and the Rutgers Thunderstruck-DMR. This line has a high leaf-to-stem ratio – good for small bunches or small size clamshells, dark green, thick, glossy leaves. This new variety is slower to flower than the Rutgers Devotion-DMR and Rutgers Thunderstruck-DMR, flowers form late; regrows prolifically after cutting, allowing many harvests over the growing season; and is highly resistant to Fusarium wilt disease. Rutgers Devotion-DMR: An excellent aromatic sweet Genovese-type basil for potted, greenhouse, and field production for fresh markets; establishes faster than the Rutgers Obsession-DMR with uniform, upright growth, dark, green color with flat to cup-shaped leaves and also allows for many harvests over growing season. Rutgers Thunderstruck-DMR: An excellent sweet basil with high yields needed for processing; quick establishment and fast, upright growth with medium-sized, ruffled leaves with bright green color; this line does show some leaf variation particularly when young. Some consider this as an ornamental sweet basil. Rutgers Passion-DMR: A beautiful sweet basil for potted plant and field production. Exhibits vigorous growth with a high leaf to stem ratio; ability to regrow after many harvests over a season, and slightly cupped leaf of a greater size compared to Rutgers Obsession-DMR. Downy mildew is a common plant disease found in basil that occurs under humid conditions, caused by rain or dew, and can render basil visually unappealing and unsellable. New varieties are naturally bred to be resistant to basil downy mildew and are creating more opportunities for farmers. 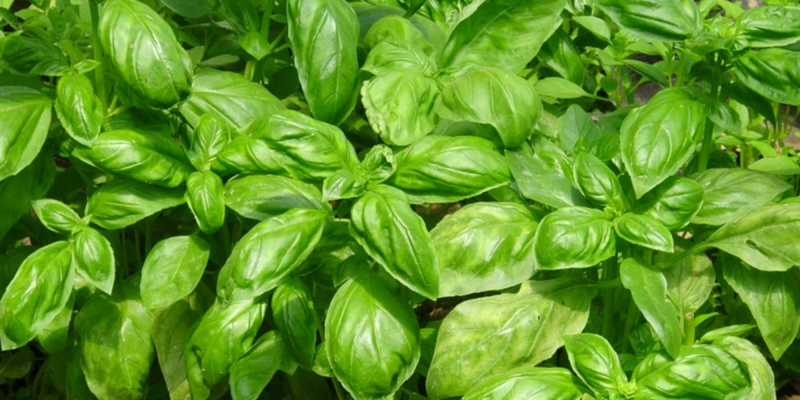 Herb growers and gardeners are excited to try this new fresh basil. 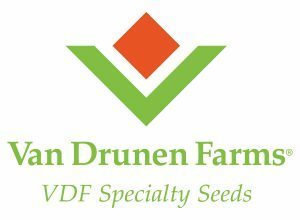 VDF Specialty Seeds was born out of collaboration between Rutgers University and Van Drunen Farms, recognizing the need to commercialize varieties with tolerance to basil downy mildew. We’re dedicated to finding agricultural and food ingredient solutions to feed the world in a sustainable, ethical and healthy way. 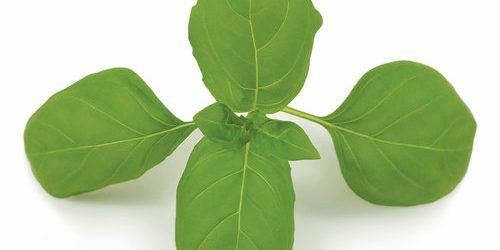 Commercial growers can buy these three new varieties of sweet basil seeds in bulk from VDF Specialty Seeds, starting Winter 2018. Home gardeners will be able to buy seeds once the distribution line is established, estimated release date is 2019.